So you’ve got a team of talented salespeople ready to go out and land some big deals for your business. That’s great! But have you given proper consideration to your sales team structure? Without a solid sales team model, these talented individuals won’t be able to reach their full potential. So what does the sales team of 2018 look like? How can you give structure to your group of talented salespeople and allow them to thrive? There are a variety of ways to structure your sales team. Your choice should be based on the structure of your company, the vision for your team, and the various abilities of your salespeople. Before you start to structure your sales team, you need to define your long-term goals. These goals should be kept in mind when deciding who to put where, and what shape the team will take. To help you understand some of the different ways you can structure your sales team, we’ve provided some examples of the most commonly used structural models. This model is based on equal opportunity. With a horizontal structure, your sales team has just one director or manager. This person oversees the entire team and dictates their activity. In this model, every other sales team member is on equal footing. Using this structure means that workers are granted more equality. It’s also a very simple model. However, this horizontal model also creates a lot of competition between salespeople. When everyone starts on the same footing, your salespeople will try to outdo each other. This creates a very competitive environment, which can lead to less feeling of unity and teamwork. This is not ideal as it encourages independence where teamwork might be more appropriate. Workplace engagement can take on a more sinister form, with deal-snatching and rumours dominating. Negative engagement rubs off on your staff and your customers. This structure also doesn’t always allow salespeople to excel at their strengths and hide their weaknesses like other models can. Another issue with this model is that it’s hard to keep everyone on the same page when there is not structured hierarchy. As everyone will be working independently, aligning everyone’s progress and goals can be difficult. This can lead to serious structural issues. Alternatively, you may want to implement a more vertical sales team structure. This structure is often referred to as an assembly line model. It involves structuring your team around the sales funnel, assigning different key roles for each member of the sales team. One of the major benefits of this model is that it allows you to identify the strengths and weaknesses in your funnel. For example, say you notice a drop off in sales/leads at a certain point in your assembly line. You can then pinpoint areas or individuals that require improvement. This creates a streamlined team dynamic where everyone plays their own part. A well-implemented assembly line really does operate like a well-oiled machine. 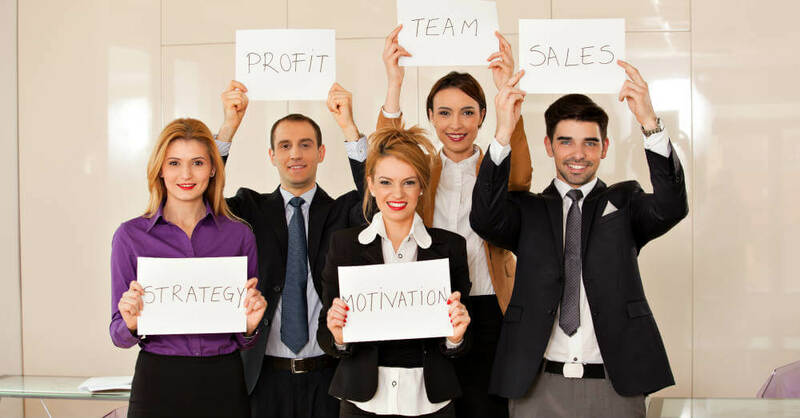 Another possible model for your sales team is to group your individuals together into teams. This structure essentially implements the assembly line sales team model into smaller teams. So instead of having one big sales assembly line, you have a few smaller teams. Each of these teams is responsible for their own sales pipeline. This structure allows for greater flexibility in your sales structure. Like assembly lines it allows you to identify strengths and weaknesses, as every ‘pod’ is accountable for their own performance. This creates a healthy level of competition. Responsible leaders should be put in place to monitor this and promote healthy organisation culture. So who makes up the sales team of 2018? You can be flexible with the type of people working in your team. However, there are a number of positions that should be included in order to form a productive, successful sales unit. Every team needs a strong leader. Without someone to man the ship, you can’t be sure you’re steering in the right direction. Your sales team should have a strong manager who’s able to oversee each individual, identify strong areas and areas for improvement. The manager should have a clear goal for the team, and make the team aware of this goal at all times. They need to be able to take initiative and switch up the structure when needed. What good is a sales team if there are no leads coming in? Your team should have a dedicated talented lead generator. This individual should be able to identify and acquire promising new leads for your team to follow up on. It’s vital that they’re observant and a strong listener. They should be able to pass crucial information on to the rest of the team and provide them with valuable sales opportunities. Your lead generators need to be dynamic, and give an outstanding first impression. After all, they will be the lead’s first contact with your business. Your sales team need someone reliable who can keep track of all your accounts and keep clients engaged. Maintaining a relationship with prospects is imperative in generating further business. Your account managers need to be outgoing forward-thinkers who can look to the future and nurture prospects. The core of your sales team. Your representatives are the driving force of your team. You need to make sure your sales reps are reliable, dynamic, and outgoing. Sales reps should have excellent interpersonal skills, they should be confident and adaptable. Your sales representatives need to be carefully chosen, as they’ll be your business’s main representatives for clients. Even if your sales team has the best management possible with great lead generation, without quality sales reps it’ll be harder to achieve success. Read our blog about sales interview tips to see how to probe your candidates. Every sales team needs some form of administration to assist the team members with any tasks and duties they may need. This will save other salespeople a lot of time which they can use to focus on their main responsibilities. Even experienced salespeople need some training. This may be company onboarding or sales training specific to your sector. As such an essential part of your sales team is trainers. The sales trainer can be a dedicated trainer or a senior salesperson who can be trusted to handle the responsibility. Technology lies at the centre of modern business practices. This is especially true for sales. Many experienced salespeople rely on outdated sales techniques. The truth is that what used to be best practice isn’t best practice in 2018. Your salespeople should have a good understanding of how to utilise technology and the internet in their sales process. Gone are the days of non-stop cold-calling to gather leads. With modern social media and online networking, it’s never been easier to efficiently gather targeted leads and sell to them. Your sales team of 2018 should be well aware of this. Tablets and laptops are now the norm for the modern salesperson. Showing up to client meetings with technology such as this allows your salespeople to have large amounts of vital information on hand for the client. However, this shouldn’t negate the importance of old-fashioned knowledge. Imagine turning up to an important meeting, and when asked about figures, your tablet dies. You haven’t memorised your facts, and you relied too much on technology. You’ve just lost a sale. Though your salespeople should use technology to their advantage, they should by no means rely on it. Sales techniques and practices are constantly changing. Your sales team need to be able to adapt to this in order to be successful. Consider encouraging current members of your team to undergo professional sales training even if they’re experienced. Everyone should be as up to date as possible at all times in order to be the best salespeople possible. The salespeople in your team should be highly analytical. They should be strong researchers who can analyse industry trends and use the data they gather to strengthen their leads. There’s a big difference between a strong salesperson in your industry and a strong one in another. Say you run a sales team in the construction industry. Do you really want an IT salesperson with no experience in construction? Just because a salesperson is successful in another industry, doesn’t mean they will achieve the same level of success in yours. Having a strong interest in and experience of your industry is a huge advantage. It enhances people’s sales abilities through contextual understanding. It also increases salespeople’s motivation to achieve results if they’re invested in the sector. An interest in the different areas of your trade is also beneficial. This allows your salespeople a broader knowledge of your industry. 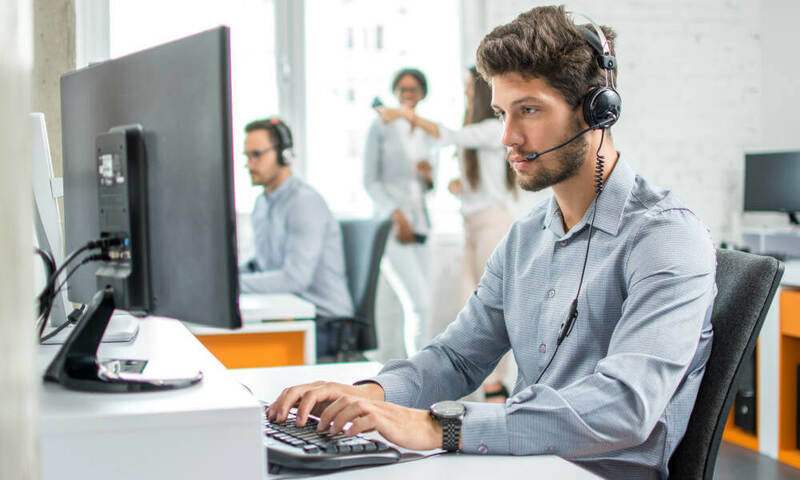 The successful sales team of 2018 needs to be streamlined, dynamic, and productive. To ensure this, you need to structure your sales team in a way that highlights the strengths of each salesperson, and hides their weaknesses. Using a sales team structure such as vertical or pods allows for people to do what they’re best at. In the same way, it allows for a team member to focus less on the aspects that they’re worse at. Think of this as sales team optimisation. This is important for sales. Tasking a salesperson with handling something they’re poor at instead of giving the task to someone who’s confident at it could lead to you losing important accounts. This doesn’t mean weaknesses should be swept under the rug. Your salespeople should be constantly bettering themselves. Simply ignoring weaknesses and not acting won’t do any good in the long run. They should be acknowledging their shortcomings and working to improve on them with staff development training. As head of the sales team, you should also be encouraging this. This is why it’s important to include a sales trainer in your team. Sales teams have to have strong business cultures. It’s inevitable in teams full of charismatic, talkative people. That’s why employing salespeople who are the right fit for your culture is the key to a successful sales unit. Psychometric profiling is a useful way of gauging whether potential sales candidates will be a good fit for your business culture or not. At Executive Headhunters, we provide behavioural and cultural profiling as part of our headhunting service. It’s vital to have a strong understanding of your own sales team culture before bringing in talent. Looking to recruit a talented new salesperson to come into your team? You should know how to get the most out of your interview process. 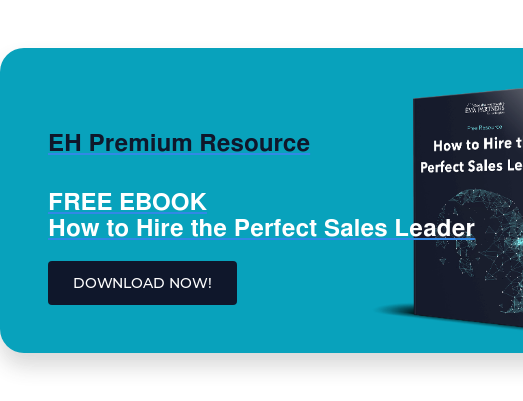 It provides helpful advice and example questions you can utilise when interviewing for your next top salesperson.